What’s happened to Britain and Ireland’s Olympians since 2000? 18 years have passed since the noughties and as I watched James Degale upset by Caleb Truax last month I thought about the impact the the Olympics has had on the professional sport in this country and how the people who represented Britain and Ireland at those Olympics have got on in the sport since their Olympic journey. Courtney Fry – Despite being a decorated amateur never fully transitioned to the pros. He contested a prizefighter where he looked impressive before losing to Tony Oakey and lost a british & commonwealth challenge to Nathan Cleverly. 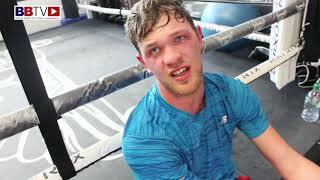 The highlights of his career will be losses to high profile names such as Roy Jones Jr & Enzo Maccarinelli. Audley Harrison – Often mocked yet arguably he is responsible for every other GB boxer following him. Despite his reputation his professional record boasts a WBF world title, 2 prize-fighter wins, a European title and a famed world title challenge. His big failure was promoting himself which he recently admitted on the bunce boxing hour saying he was concerned he wouldn’t make all the money whereas Lennox Lewis had advised him that he could have focused on fighting and make the money back in court later. Amir Khan – The sole participant for team GB that year went all the way to final losing to Cuban legend Mario Kindelan whilst aged just 17. He secured far more lottery funding for the sport and recently raised his profile via I’m a celebrity. 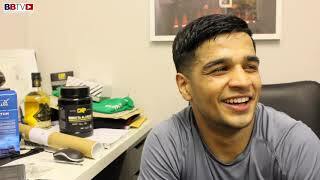 With numerous titles to his name including a world title, and some high profile fights that have took place in USA, the story is not finished for Khan however his career is somewhat looked at as one of underachievement. 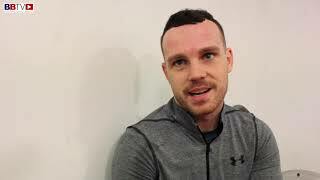 Andy Lee – Lee only had 2 fights in the 2004 Olympics yet one was a victory over Alfredo Angulo and the other was a draw resulting in countback loss to Hassan N’dam Njikam (future world champion). Turning pro under the tutelage of Emanuel Steward, he won 29 out of 30 prior to his challenge of Julio Cesar Chavez Jrs WBC title which resulted in a stoppage loss. Emanuel Steward passed away, Lee regrouped with new trainer Adam Booth winning many fights from the brink of defeat by detonating powerful punches that would knock opponents out before securing a WBO title against fellow Olympian Matt Korobov – he defended this once before losing it to another Olympian in Billy Joe Saunders and has since fought once. Ireland had another representative in 2000/04 called Michael Roche who for whatever reason didn’t turn professional. Irish Silver medallist Kenny Egan also stayed amateur opting not to go pro. Darren Sutherland – Turned pro with Frank Maloney. Raced to a 4-0 record and was highly touted within the game as someone who would go on to achieve world honours. Sadly this wasn’t to be as being away from home along with many other issues resulted in Sutherland taking his own life in 2009. 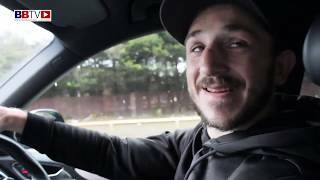 Frankie Gavin – Frankie has to be mentioned despite never actually competing due to weight issues. Since turning pro he has never reached the heights he did as an amateur yet has still managed to win the Lonsdale belt outright and the commonwealth title. 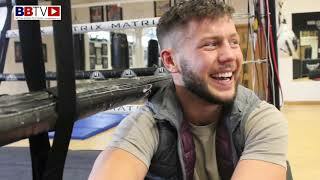 He finds himself contesting for an IBO title in February which could put him back in the title mix – sadly it is ill discipline which is preventing him from reaching his potential as many feel he could make lower weights. 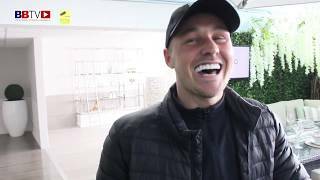 Billy Joe Saunders – Speaking of ill discipline holding back talent, Billy Joe Saunders managed to win a world title and defend it in spite of this. 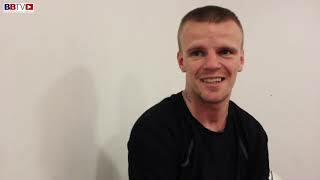 What’s often overlooked is Billy Joe has fought 5 unbeaten fighters and holds a win over Chris Eubank Jr. 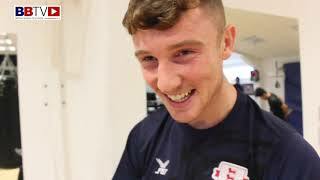 Recently having sorted his discipline out after relocating to Sheffield, his performance against Lemieux is arguably THE boxing performance of the year and he now gate crashes the discussions of who is the best middleweight making it a 3 horse race with Canelo and GGG. 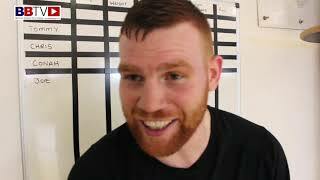 David Price – When people were falling over as David Price right hand was detonating against their chin, the public perception was that Price would be the next heavyweight king to come from Britain and would handle Tyson Fury fairly easily. 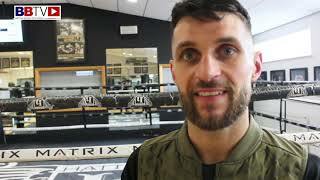 Two consecutive losses to Tony Thompson left Price a broken man where he has never quite been the same destructive force he was prior, he has since lost Erkan Terper and Christian Hammer though will feel aggrieved as all his conquerors failed drug tests following the fights. 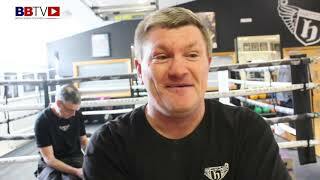 With a British title to his name, he still has ambitions however they wont go much further than European now. 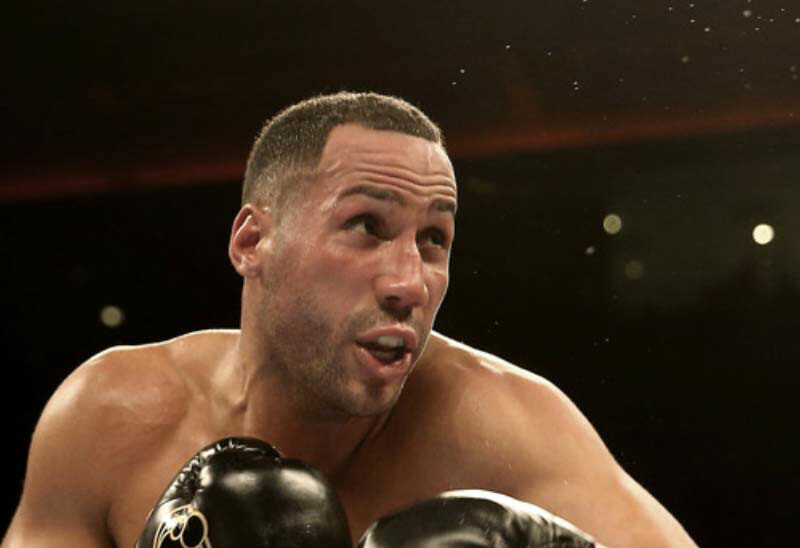 James Degale – History man James Degale became the first British Gold medallist to win a world title and did so away from home, then defending twice away from home. 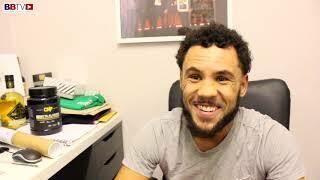 His sole loss to that point was in a british title match vs George Groves, and he has since just lost his world title to underdog Caleb Truax. Regardless of how his career goes here on out, he will always lay claim to a little bit of history. Tony Jeffries – Bronze medallist Jeffries was plagued by hand injuries after turning pro. Retiring from the sport with a record of 9 – 0 – 1 with his blemish being a draw to journeyman Michan Banbula, Jeffries called time due to injuries. He didn’t pick up any titles and now devotes his time to training the next generation. Bradley Saunders – with a pro record of 13-1 , he didn’t turn pro for 4 years due to complications with his license. Losing a bout by DQ to Renaldo Garrido before coming back to win one he has struggled whilst in the pro ranks. Will have to increase his activity if he is to have a successful pro career. Joe Murray – to say Joe Murray hasn’t hit the heights that were expected of him are an understatement. Younger brother to world title contender John Murray, he was lauded as a Genius joe by his fellow GB team members. Sporting a 22-2 pro record with his 2 losses being to Liam Walsh, he will find himself unlucky not to pick up a title before he is done with boxing especially as recently where some of his wins have been on short notice or on the road. Khalid Yafai – 23 – 0 as pro with a WBA super flyweight title to boot. Yafai has been with Eddie Hearn since 2012 and fought regularly on his shows. Will look to prove himself as number 1 in the world in his weight divisions and unifications should be what his future holds. 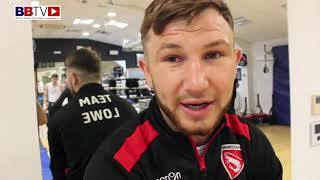 John Joe Nevin – now a 9-0 pro with all but 2 of his fights having taken place in the states. Coming up just short in the final to current well known pro Luke Campbell and besting European champion Denis Ceylan on route to picking up his silver medal. There are high hopes for him to achieve world glories as a pro. Adam Nolan – is another of the combatants who hasn’t gone pro yet he has been competing in the world series of boxing for Italia thunder. According to Wikepedia he is also a fantastic hurler winning world honours. 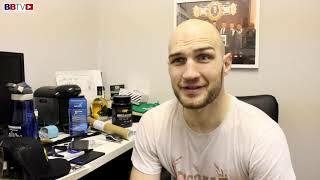 Darren O Neill – another fighter who chose not to turn pro. Now 32 one can’t see him going professional although he stepped up some weights in amateur to secure the Irish amateur heavyweight title. Anthony Joshua – the poster boy for what can be achieved following the Olympics. A gold medallist at super heavyweight has run roughshod over the heavyweight division beating Future hall of famer in front of 90’000 at Wembley in a classic. His next 5 fights could be legacy defining as the queue consists of Joseph Parker, Deontay Wilder and Tyson Fury. Luke Campbell – another of the Gold medallists from 2012 and one of the most successful amateurs of all time has transitioned well to the pros. Signed under Eddie Hearns Matchroom umbrella, he has fought Tommy Coyle at the Hull tigers football ground. An upset by Yven Mendy had Campbell show metal to come back to contest Linares WBC title in the States losing a close decision, will look to come again to pick up world honours. Anthony Ogogo – Anthony Ogogo had the toughest route and the hardest time on the way to his bronze medal in 2012, fighting after just coming back from injury and fitting in hospital visits to his unwell mother in between competition. He hasn’t caught fire as a pro losing most recently to the highly respected Craig Cunningham, having not fought since citing blurred vision as a consequence. It seems with all his reality TV appearances is more concerned with fame rather than being a fighter. Andrew Selby – Perhaps the most talented of the class of 2012, Selby turned pro in late 2015 and within 8 fights had already won a British, and alphabet regional titles. With his brother an already established world champion, the pressure of his big brother doesn’t look like its affected Selby. Showing loyalty signing to Sanigar like his brother, Selby will be hunting for world glory in 2018. Fred Evans – Lauded as one of the more talented one of the group, Evans career has stagnated due to outside the ring problems causing a delay in his licensing. He finally made his pro bow in 2017 getting to 3-0 by the years end. A tricky southpaw will look to get himself in to position to chase domestic honours in 2018. 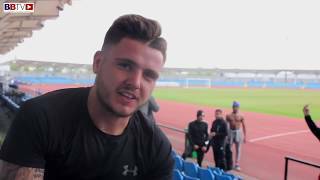 Josh Taylor – since turning pro with Shane Mcguigan and Cyclone promotions in 2015 Josh Taylor went through a steady stream of opponents before announcing himself nationally beating hard man Dave Ryan for the commonwealth title with relative ease. He then followed this up with impressive wins over unbeaten O’hara Davies and former world title holder Miguel Vasquez. Taylor has been calling out Burns, yet Burns isn’t keen for obvious reasons so Taylor may have to miss out on an all Scottish showdown bypassing it for the world title. Thomas Stalker – the captain of the 2012 team Stalker has had a difficult transition to the pro ranks. With 3 losses and 3 draws in his 20 fight ledger. British champion Jack Catterall delivered his first loss whilst Sean Dodd his most recent, he also had a trilogy with Craig Evans where 2 resulted in Draws whilst one was a loss. Whilst not officially retired he has now taken on a role as a talent scout for MTK global. Natasha Jonas – the first ever woman to compete in boxing at the Olympic games went pro 5 years after the Olympics and has racked up a 4 – 0 record this year. Trained by Joe Gallagher she has been plying her trade away from the lights of TV. She is one to watch as out of 4 of her opponents not one has reached the final bell. Paddy Barnes – in just 5 fights he has already picked up the WBO European and WBO intercontinental flyweight title to acquire a ranking of 14 in the world with the WBO. With his extensive amateur background and WSB experience he will be able to fast tracked so will hope to be in world title contention as the year comes to a close. Along with Carl Frampton, the Conlan Brothers and Ryan Burnett Belfast has plenty of fighters to keep the fighting city going with big shows. Brendan Irvine – has opted to remain amateur and at the young age of 21 has time on his side. Michael Conlan – Michael Conlan is responsible for the most iconic picture of boxing at the Olympic games in recent memory, shirt pulled off and middle finger up to the judges as he metaphorically said I am done with the non paid ranks. This followed a controversial decision where most thought Conlan had won. Conlan is now in the pro ranks with 5 wins to his name all that have happened overseas. David Oliver Joyce – Joyce is now a 3-0 pro, signed to Mathew Macklins MTK Global brand. He hasn’t wasted time in racing to that record. At the age of 30 time is not on his side so he will want to get into title contention as soon as possible. Stephen Donnelly – Hasn’t turned pro and has found himself embroiled in controversy after betting scandals were revealed . he has since been reprimanded for this by the IOC. Joe Ward – Yet to turn pro but Joe ward is one of the most decorated athletes in Irish amateur history. Having won numerous amateur accolades at just 23 time is on his side to wait it out until the next Olympics and turn pro with plenty of time to dent the pros. Michael O Reilly – O Reilly never competed in the Olympic games due to a positive test just prior to the games. It is not known what O’ Reilly’s intentions are at the moment or whether he is looking to go pro. Katie Taylor – Katie Taylor is fastly doing to womens boxing what Ronday Rousey did for womens MMA, making it credible. In 8 fights that have taken place over 13 months she has secured herself a WBA lightweight title and defended it once. Signed to Eddie Hearn, with her tenacious style she has the star quality that attracts the casual audience to watch the shows she fights on. Nicola Adams – The poster girl of amateur womens boxing winning double Olympic gold. She has signed with Frank Warren and is trained by the enigmatic Virgil Hunter. 3-0 as a pro and fought in Canada already. Warren will no doubt want to direct her to a world title this year and also have her on the Warrington Elland road undercard. 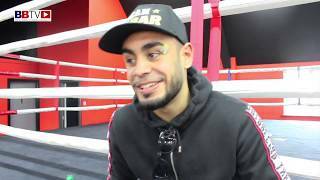 Qais Ashfaq – Has turned professional with Haymaker ringstar. Training with Ismael Salas who also trains Haye and Jorge Linares. Yet to have a pro fight but should be on all Haymaker ringstar Dave televised shows. Muhammad Ali – Namesake of the greatest trained at the same amateur boxing gym that produced Amir Khan. Continued as an amateur following the Olympics and won a silver medal in the European championships. In October 2017 he was suspended by AIBA for testing positive for a steroid. Joe Cordina – Turned pro with Matchroom and has since accumulated an unblemished record of 6-0. 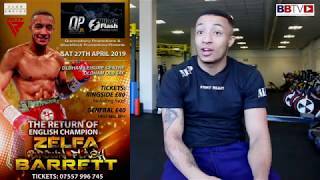 With fights at Wembley Stadium, Bramall Lane, York Hall, and the prinicipality stadium under his belt he will already feel at home under the big lights. In 2018 will look to progress to title contention as his level of opponents increase. Anthony Fowler – 4 wins with 3 by KO is the record so far for Anthony Fowler. 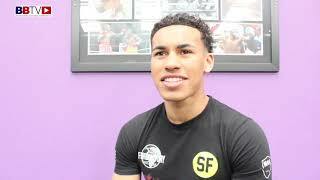 Cousin of former Liverpool striker Robbie, is trained by Dave Coldwell and promoted by matchroom. One of the most sought after Olympians has a crowd friendly style likened to Carl Froch which will no doubt win him many new fans in the coming year. Savannah Marshall – Surprisinly Savannah marshall signed to Floyd Mayweather promotions making her debut on the undercard of Mcgregor vs Mayweather in Las Vegas winning a unanimous decision. At the age of 26 there isnt a huge rush but she will hope to be kept active as 2018 progresses. Josh Buatsi – The surprise package of the Olympics as he made it to the quarter finals with a string of impressive performances. Signed with Matchroom with Anthony Joshua as his manager after he first opted to complete his degree prior to his pro venture. He is next out on the 3rd of February at the O2 in London. 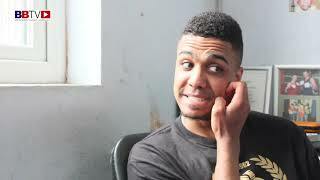 Joe Joyce – Has turned pro with Hayemaker ringstar and made a statement in his pro debut taking on one of the tougher debuts by a British fighter in recent times as he stopped experience Ian Lewison in 8 one sided rounds. If that matchmaking is anything to go by then Joyce will be European level by the end of 2018. A heavyweight at the age og 32, it’s no bad thing to rush someone with WSB and such high level amateur experience under his belt. 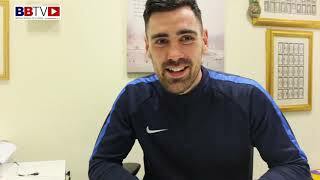 Pat Mccormack – Pat Mcormack has syet to go pro following the Olympics. At the age of 22 he has age on his side and will likely wait it out to see this years commonwealth games and the Olympics in 2 years. Considering the amount of titles and top level professional stars that have transitioned from the Olympic squads to the professionals in the last 18 years then the progress of the amateurs has directly correlated to more success in the pros. Year on year there have been more athletes competing at the games, and with people picking up European titles as professionals considered to be disappointing then it goes to show the success it has set. They have brought female boxing into the public eye in this country, sold out Wembley and created numerous other historic moments which in turn leaves the boxing fans as the overall winner. 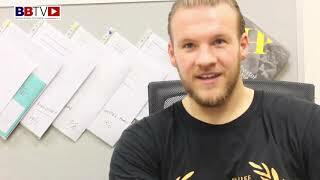 Next ArticleVIDEO: Meet the British boxer who has been in with Vasyl Lomachenko twice!